Home to farmland, forests, and sleek skyscrapers alike, Illinois is a widely varied state that offers many different opportunities to live and work. If you’re looking for a change in career and scenery, or the excitement of Chicago pulls you, consider becoming a forklift operator. If you’ve always dreamed of owning your own business, being the employer of forklift drivers is a great opportunity that can provide services that are always in demand for all kinds of projects. Whether you’re an aspiring operator or employer, you’ll need Illinois forklift certification. Why is Forklift Certification Illinois Important? Forklift-related accidents happen every year on worksites across the U.S., and the majority of them are caused by operators not having the proper training. Training with forklift certification in Illinois is the most effective way for operators and employers to prevent accidents and avoid injuries, fatalities, and expensive equipment damage. It’s for this reason why getting Illinois forklift certification is crucial as an operator, and equally as important if you’re an employer to prevent accidents in your workplace. 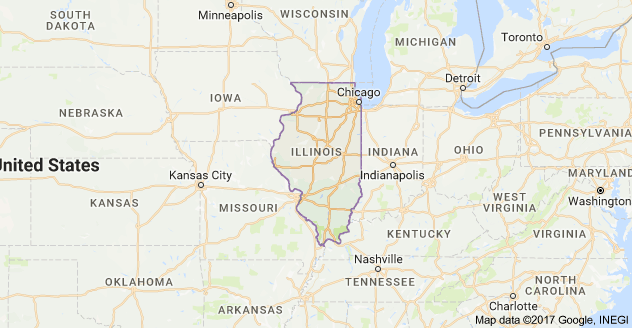 Where are Forklifts Used in Illinois? Forklifts are an incredibly versatile machine, used in many different work environments. There are warehouse forklifts that are used mainly indoors in warehouses and other manufacturing centers. Rough terrain forklifts are used outdoors on uneven surfaces mostly on construction sites. As an operator, you have a wide range of positions to choose from, and can decide if you want to work indoors, on construction sites, or on the water with large ships as a dock worker. As an employer of forklift drivers, you have this varied set of applications and skills to take advantage of for your business. Forklifts make many work practices easier and safer, but only if operators have their forklift certification in Illinois. What Are OSHA’s Requirements for Forklift Certification in Illinois? Being such an important tool for safety, Illinois forklift certification training is a requirement from OSHA for all operators in Illinois. According to OSHA, employers must ensure all forklift operators are competent to drive forklifts safely, following the successful completion of training. Additionally, training must involve formal instruction, practical training, and an evaluation. Training must cover truck-related and workplace-related topics to provide trainees with all the important information they need. Whether an operator or employer, it’s in your best interest to look for forklift training and forklift certification Illinois that is OSHA-compliant to ensure you’re getting all required information in a compliant program. Why Choose CertifyMe.net for Illinois Forklift Certification? All within an online course that can be accessed from any device with an internet connection, operators can complete their selected training module in only about one hour, and for only $59.95. Create an account, work through the online modules, and hold your Illinois forklift certification and operator card today!